Sunday is my day to shop for food and cook for the week. The oven is stuffed and pots crowd the burners on top of the stove. Amidst the peeling, pouring, simmering and baking, Chris came in the kitchen with a dust and web covered coffee can. “Three guesses, what’s in the can,” he tells me. “Nope,” he says with a big smile. “No again,” he is on the edge of some kind of hilarity. “Umm. Coffee,” I give on my third try. “What kind of snake?” I ask. “I don’t know. I need to look it up. Can I have a fork?” He grabs one out of the dish rack. OK, by now I am pumping adrenaline and not remaining calm. Because with my x-ray vision I am seeing this inside the can. “Cool. Let’s look at it,” he answers. I turned off the burners and follow him into the attached garage to get to the backyard. “Where did you find it, anyway?” I ask. “In the garage,” he answers. “Mom, you know you’re really freaking,” he said with perfect aplomb. Chris pried the lid of the can and gently dropped a pinky thin snake onto the grass. It looked like this guy. 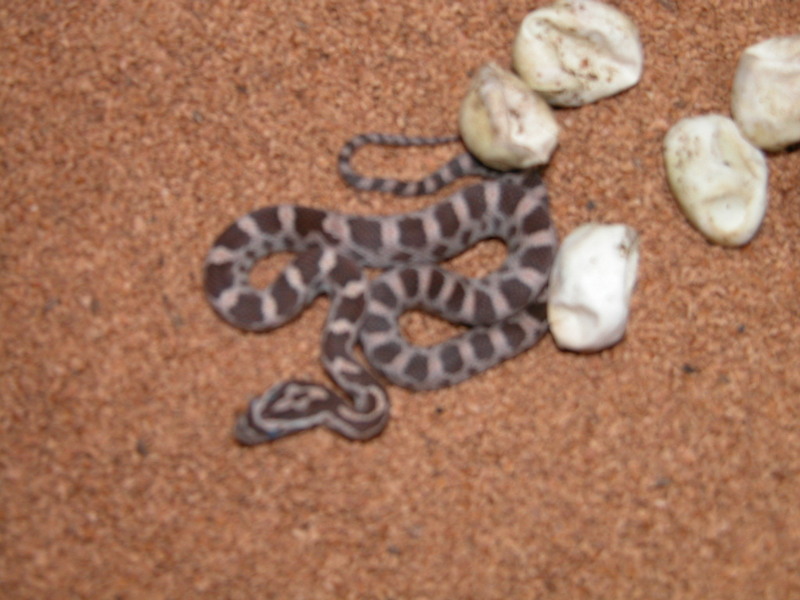 That’s a chocolate hatchling, a very little baby corn snake. 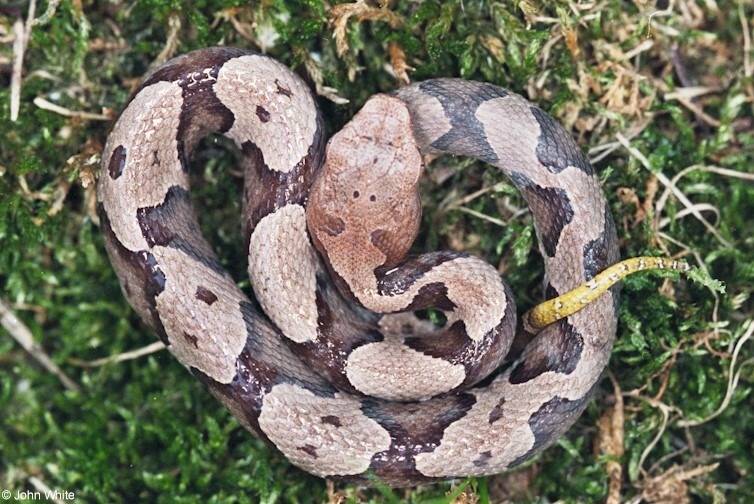 Corn snakes hatch from eggs, clutches of 8 to 20. They are absolutely nonaggressive. They constrict their prey rather than biting. Not as good as a pair of black snakes but very effective for keeping mice out of the house. The one Chris caught is probably the boldest of a bunch of siblings curled up somewhere under the cardboard or old boxes or motorcycle parts or stacks of old carpet that can’t seem to make it to a dumpster so don’t get disturbed very often. I live in Knoxville, in the city, we have been at this same house for 13 years, i have seen many snakes, coppreheads, rat snakes, and a couple of rattles. I still get freeked, so don’t fill bad. Thank you, Carol. While I have a great appreciation for nature~~outside~~some of it really doesn’t belong underfoot, you know?